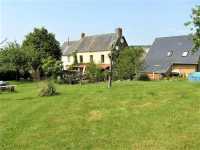 AHIN-SIF-00829 • Nr Passais la Conception • 3 Bedroomed 3 storey village house with large garden. This is a wonderful opportunity to purchase a stunningly impressive Manor house dating from the 16th Century set in a peaceful hamlet in the Normandy Countryside yet only 20 minutes from the bustling market towns of Carentan and Valognes. 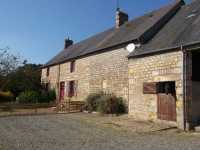 AHIN-SIF-00781 • Mortain, 4 Bedroomed House - Great Views - on 2 Acres of land. The property benefits from charming features and a partially thatched roof and stands in a quiet rural position. The gîte makes this property ideal for those with visiting family or who wish to generate an income. The pretty gardens surround the property. 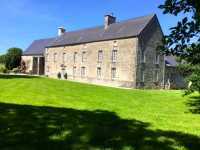 AHIN-SIF-00785 Domfront Area Stunning 7 bedroomed Country Mansion with 3500m2 grounds - famous for being home to a renowned French painter. AHIN-SIF-00765 Near Sourdeval 50150 3 bedroomed Farmhouse with large attached barn and 1/2 acre. Recent renovations have been carried out by the present owners including some tilt and turn upvc double glazed windows with shutters, a recently fitted bathroom and a new and unused all water septic tank. AHIN-SIF-00750 Mortain 50140 Individual 4 bedroomed detached bungalow with basement and 2 1/2 acres with easy access to a town with all facilities. 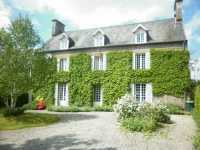 AHIN-SIF-00743 Juvigny-le-Têtre 50670 Detached 5 bedroomed country house with 4 acres of land and outbuildings. The house benefits from a ground floor bedroom and bathroom which creates versatile living accommodation. For those wishing to keep livestock the paddock is in front of the house. The property has double glazed windows. Viewing recommended. 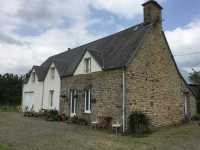 AHIN-SIF-00738 • Sourdeval • Spacious 4 Bedroomed House on the outskirts of this pretty market Town with all amenities. This house would probably have been thatched originally and now has pretty eyebrow windows. It is tucked away at the end of a no through road but is an easy walk to Town. This is a wonderful opportunity to purchase a brilliant family home with 1.15 hectares of land on the edge of the truly friendly village of Domjean. AHIN-SIF-00718 • Mortain, Spacious Townhouse within short walk of all facilities with 4 bedrooms and garden. 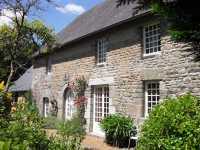 Situated in the south of the department of Manche in a small village with all amenities. There is an 18 hole golf course and the Lake Dathée within a 15 minute drive. 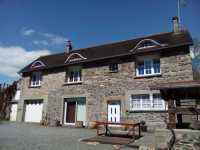 Renovated farm house with room for further extension if required with superb views. AHIN-SIF-00707 • Near Saint Hilaire du Harcouët, Detached 2 Bedroomed Farmhouse to modernise with over an acre and barns in a quiet rural hamlet. AHIN-SIF-00712 Mortain 50140 Attractive stone house in Normandy to finish renovating,within walking distance of all amenities.